For example, it’s a good idea to make sure you’re getting all your mail. Ideally, you will have made arrangements with the post office prior to your move to have your mail redirected to your new address. However, that service will eventually expire. Here’s a tip: Introduce yourself to the new owners of your old property. 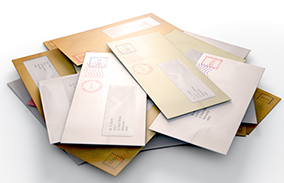 Ask them if they wouldn’t mind holding any of your mail that has been inadvertently delivered to them and you’ll make arrangements to stop by periodically to pick it up. Chances are, they won’t mind.